After passing away last January, Kenojuak Ashevak remains recognized as one of the greatest Canadian artists of the 20th and 21st century. From her first drawings, done in the late 1950’s, to those completed shortly before her death, she has dazzled audiences with her signature style and brilliant works. This exhibition reflects her vast creativity through her ability and willingness to create drawings, sculptures and various forms of prints. The fact that she continued to experiment with the abstract and the scale of her drawings, even in old age, is representative of her imagination and dedication. 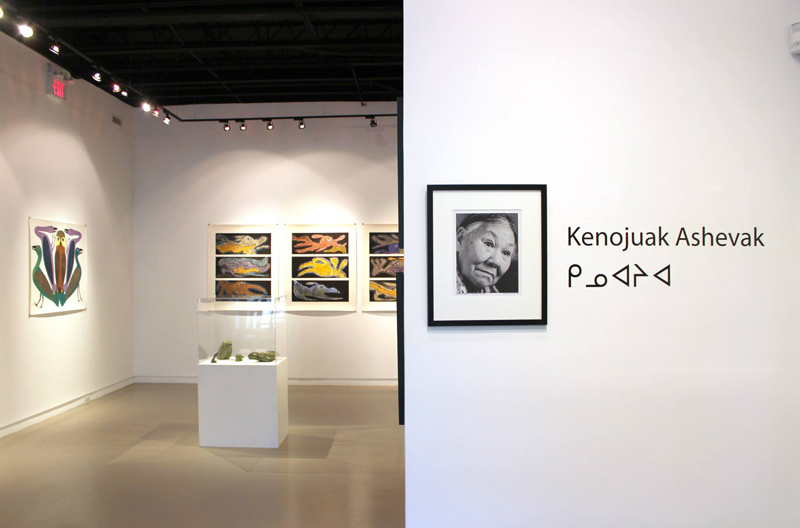 Feheley Fine Arts’ Kenojuak Ashevak show is a retrospective journey that contains work from throughout the fifty-year career of this artistic icon.